This photograph was taken within the property - Lot 2012-2 (NB-790). Another photo taken with the property. 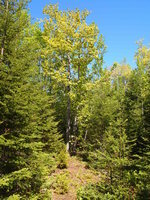 The land is nicely treed throughout in healthy stands of deciduous and coniferous trees. This picture was taken within the property (NB-790). 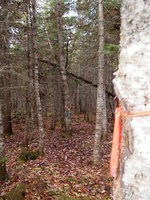 This picture was taken along the Lot 2 / Lot 3 boundary line at the westerly end. As you can see the property boundary lines have been surveyed and are clearly marked. Pictured is the Targettville Road with your land on the left. 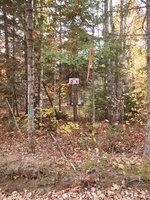 The lot line is clearly marked by lot signs indicating the property boundary. Another picture of Targettville Road and your property on the left. Your land has 368 feet of road frontage. Picture from Targettville Rd looking into the land along the Lot 2 / Lot 1 boundary. This is a neighbouring farmland in behind these lots along Targettville Road. Good soil and drainage. Your land is considered woodland but could be well suited for an off-grid hobby farm. 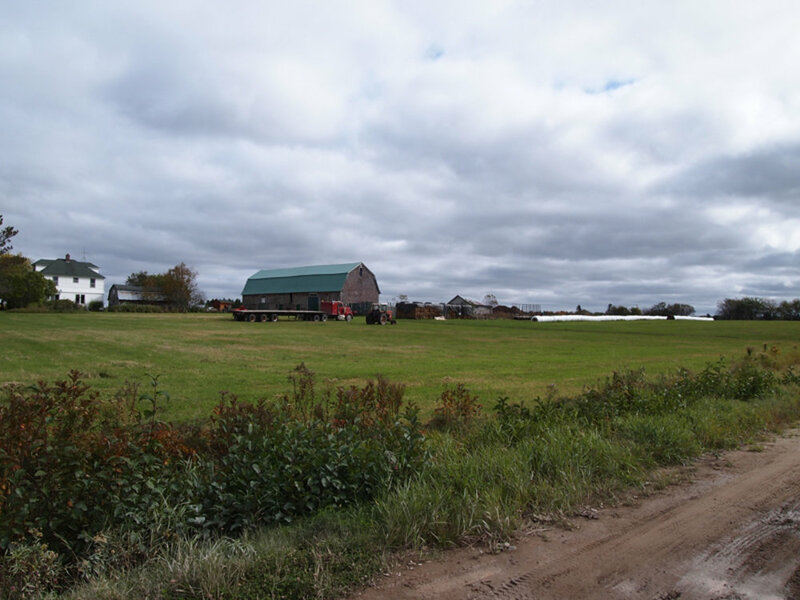 A beautiful farm in Targettville along Route 510, just a kilometer (less than a mile) from your land. 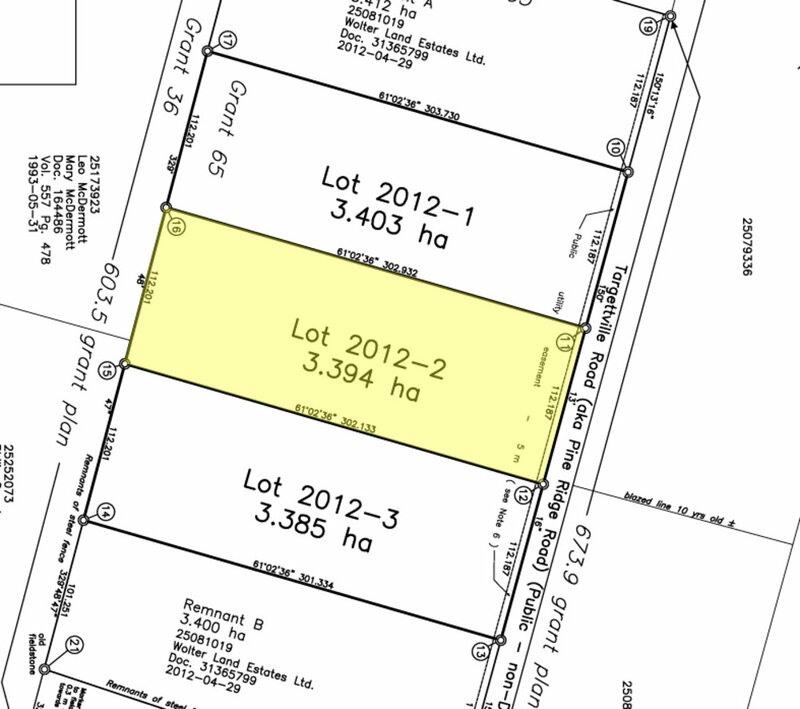 Here is the survey plan showing your land and dimensions. Measurements are in meters. 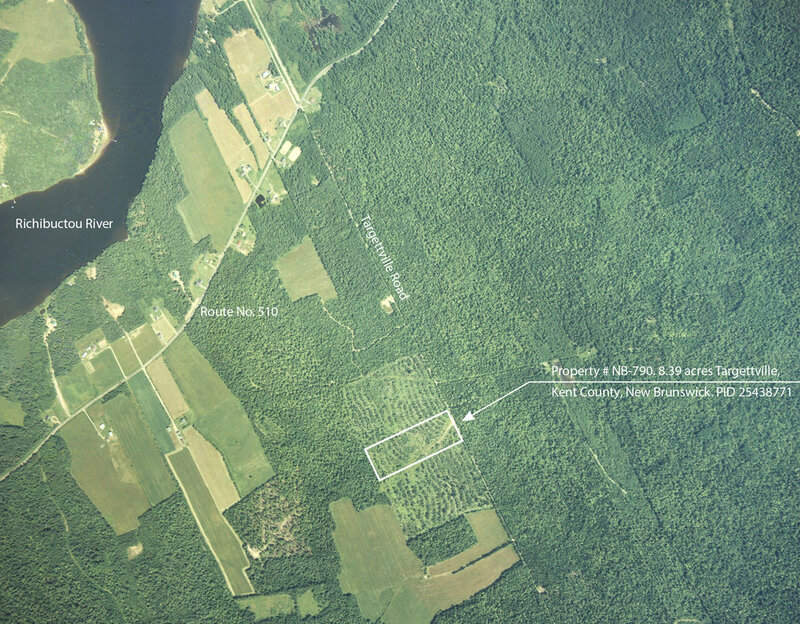 Aerial photograph showing the property outlined and nearby Richibuctou River. This air photo is dated 2001. 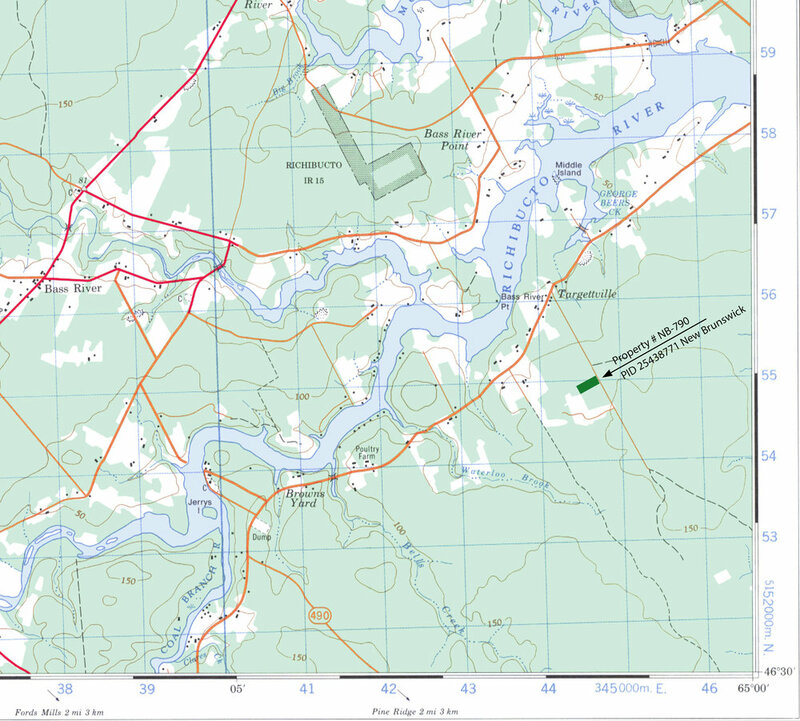 Topographic map indicating the location of your land. Map showing the location of your land (Property No. 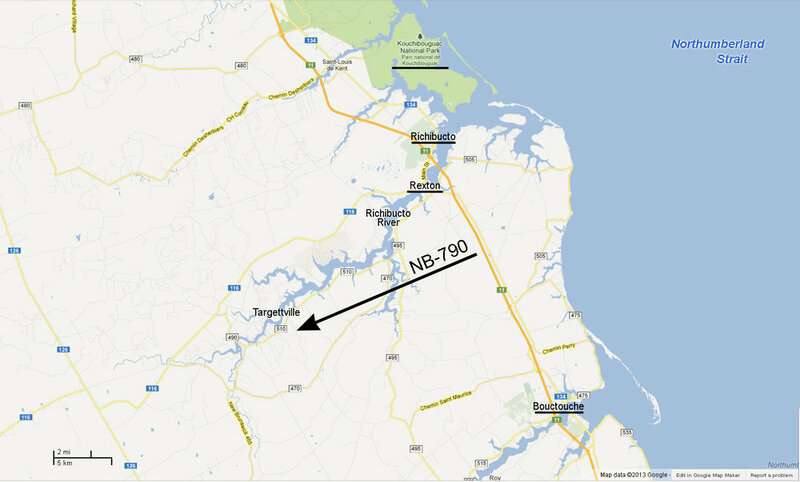 NB-790) and nearby communities of Rexton, Richibuctou and Bouctouche. 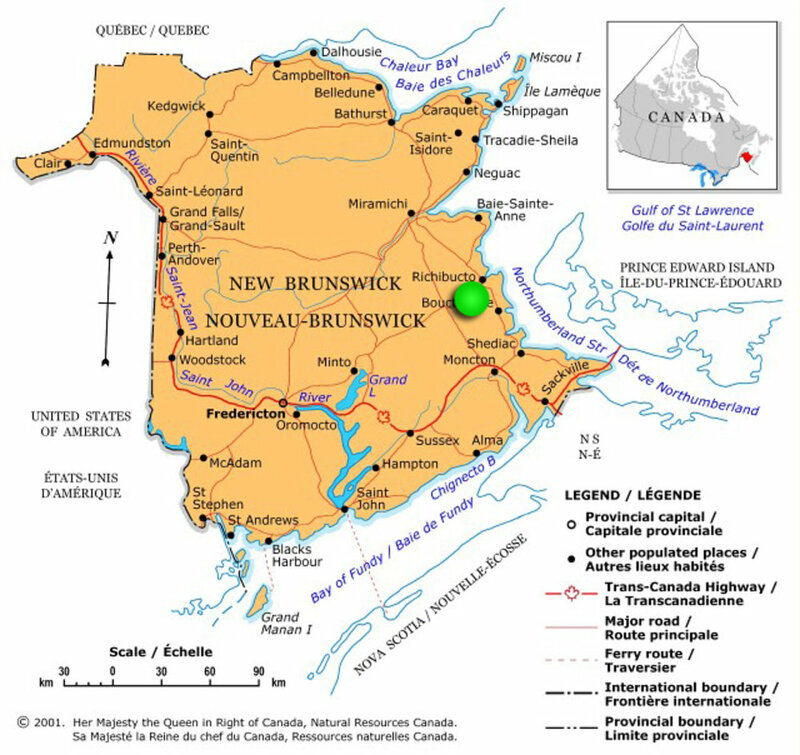 Map of New Brunswick indicating the location of your property (green dot). 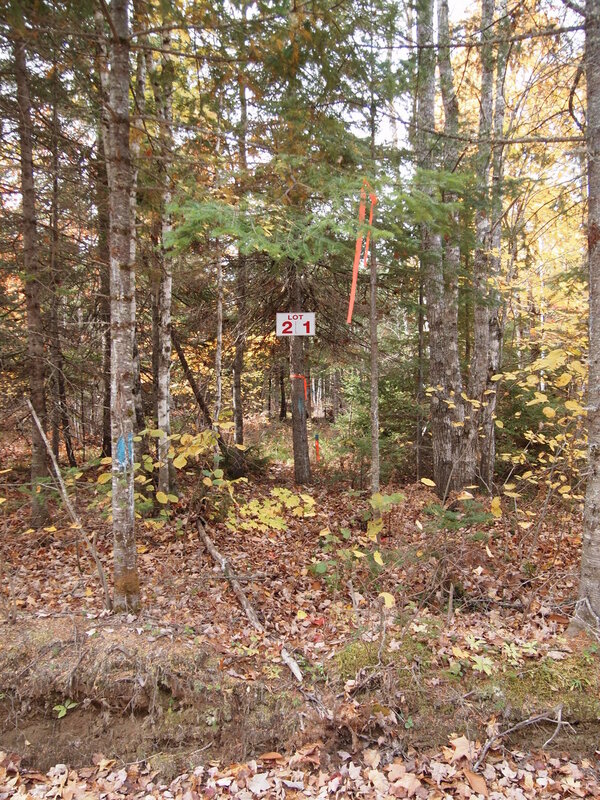 Lot 2012-2 Pine Ridge Acres Subdivision, Targettville, Kent County, New Brunswick. - Surveyed with boundaries clearly marked. - Eastern boundary (along Targettville Road aka Pine Ridge Road) measures 368.068 feet (112.187 meters). - Southern boundary measures 991.250 feet (302.133 meters). - Western boundary measures 368.811 feet (112.201 meters). - Northern boundary measures 993.871 feet (302.932 meters). 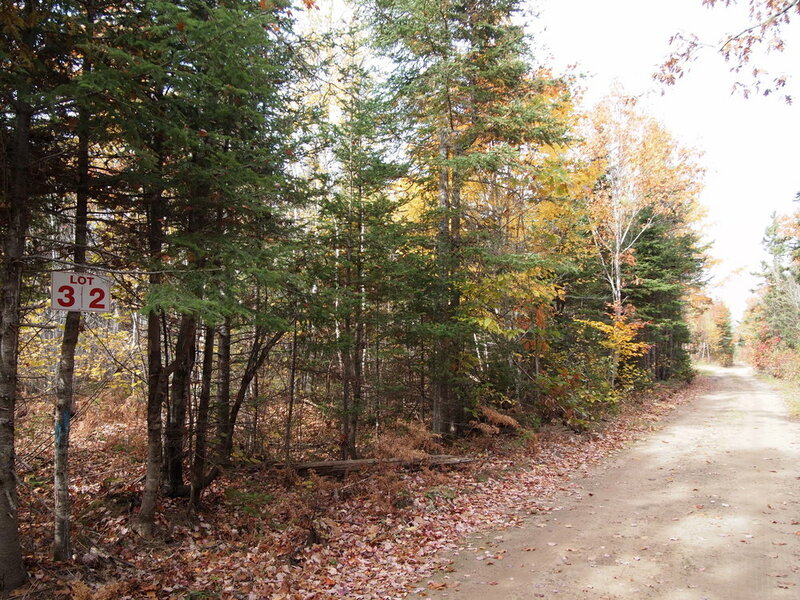 - Approximately 0.5 mile (800 meters) from the main road, Route 510 where you have power and phone service. 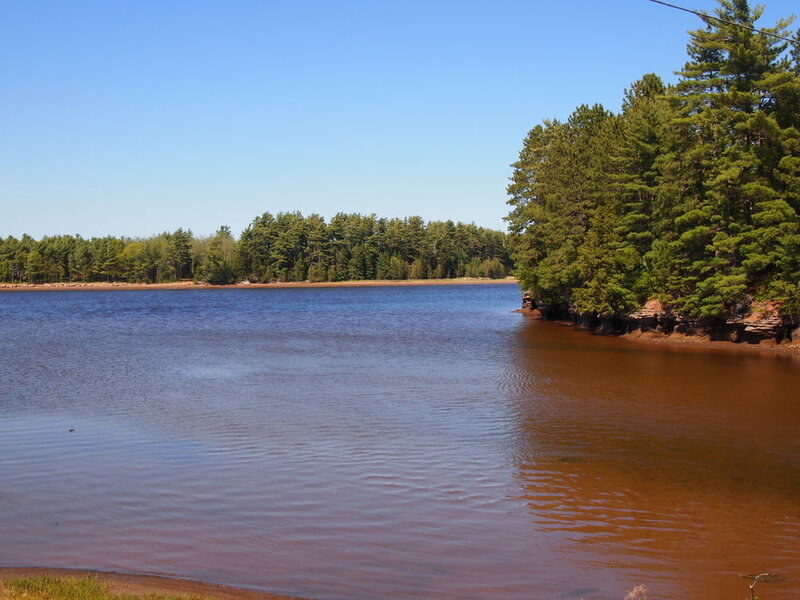 - 19 kilometers (12 miles) from Rexton and Richibucto with most services and amenities. - 40 minutes drive to explore Kouchibuguac National Park and the incredible sand dunes that run parallel to the coast. - Roughly an hour’s drive to the City of Moncton and Moncton Airport. 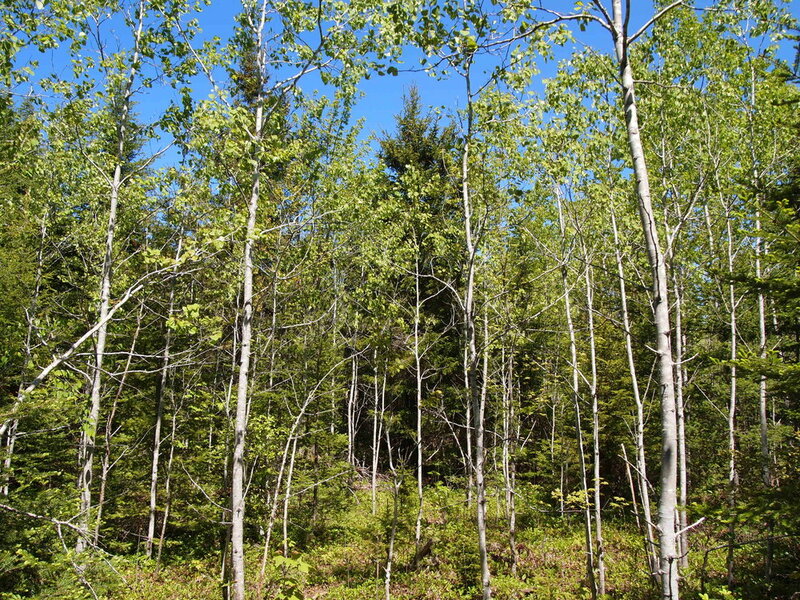 Full ownership of this beautifully private 8.386 acre parcel of land in New Brunswick Canada. 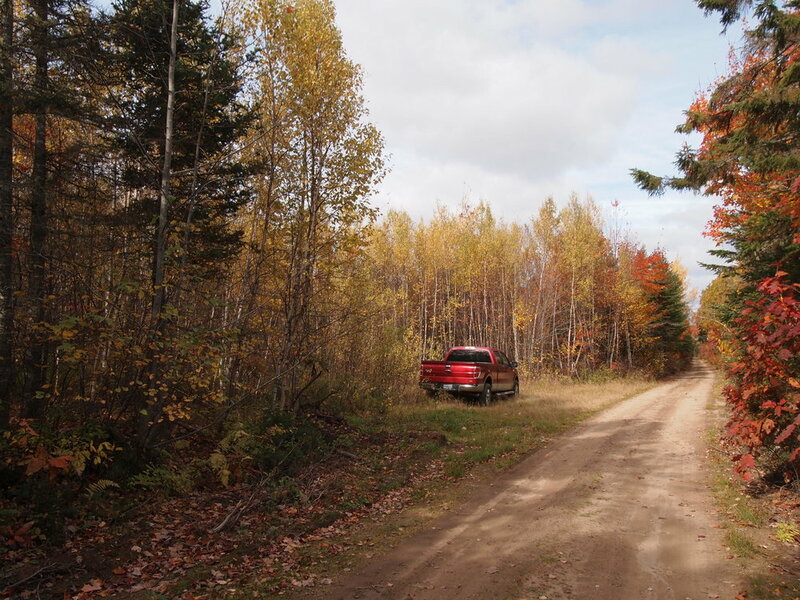 Good access via the gravel surfaced Targettville Road, approximately 800 meters from the main road, Route 510. 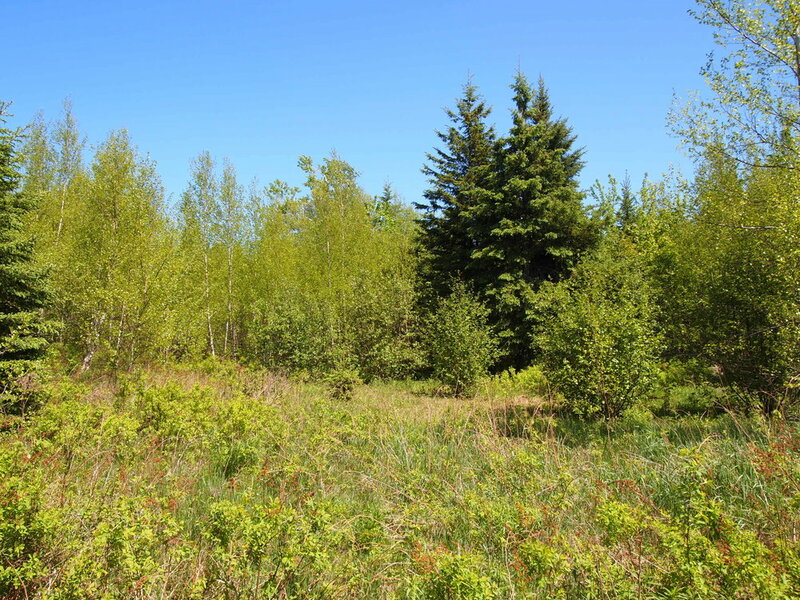 The land is perfectly suited for a camp, cabin, camper, hobby farm, or just to enjoy as your own treed acreage that can be enjoyed for many years. There are no restrictive covenants in place. Improve the land at your own pace, park a travel trailer here and enjoy the countryside, nature and privacy. 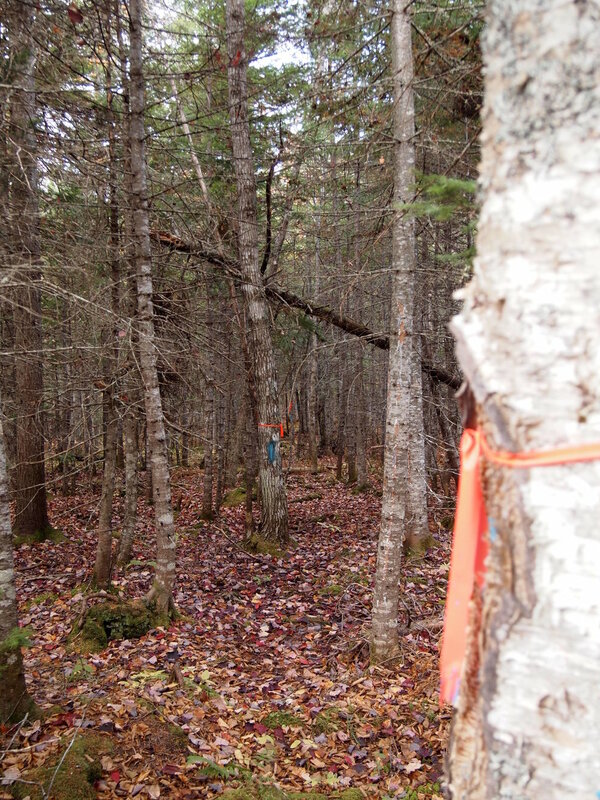 A land survey was recently completed and the property boundary lines are very well marked, making your land easy to find and easy to navigate. 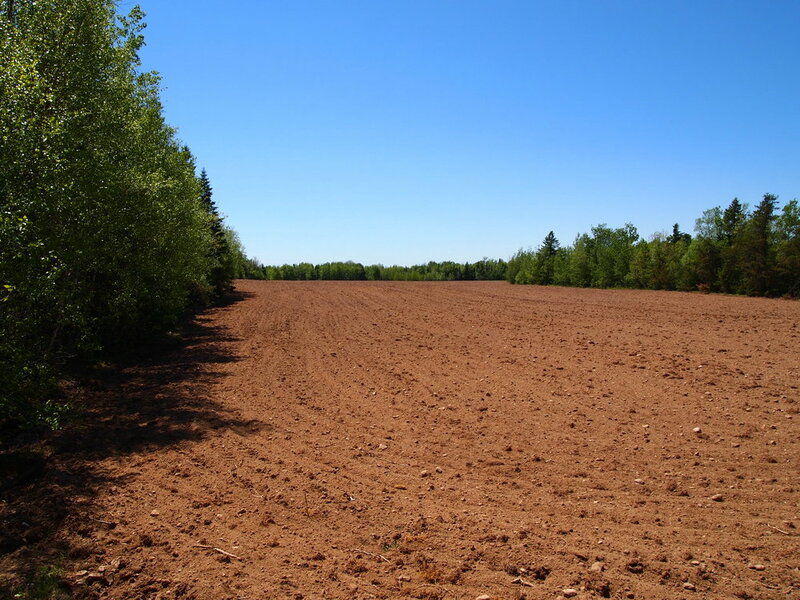 Terrain of the property is very good; generally level throughout with good draining soil and no wet land. 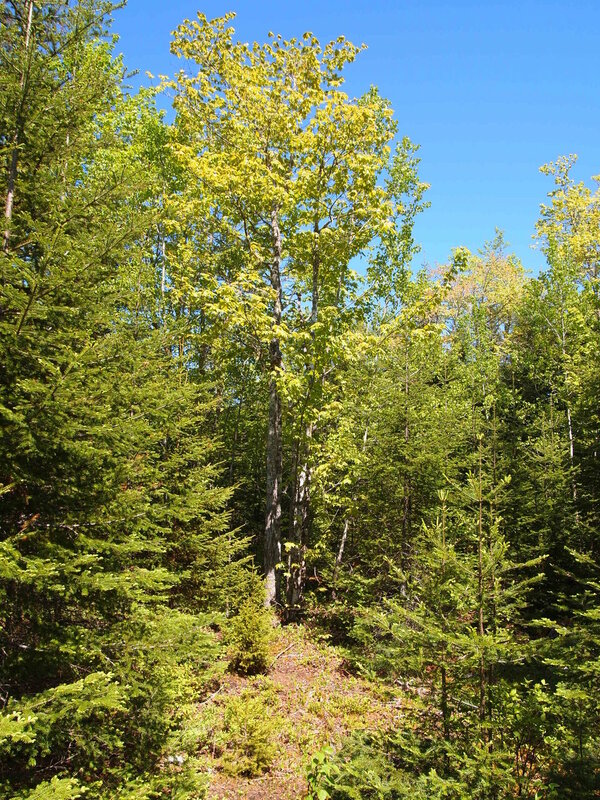 A great variety of trees are growing here: spruce, fir, pine, hemlock, poplar, birch, maple and oak make up most of the tree vegetation and provide you with plenty of privacy. Wildlife runs abound - from deer, moose, rabbit, grouse, chipmunks, songbirds - these animals will be your closest neighbours. For those who like water, the Richibuctou River is just a few minutes away and is ideal for boating, canoeing, kayaking, fishing and watersport. Sorry, this acreage is SOLD. To view more properties similar to this, visit our New Brunswick property list, here.